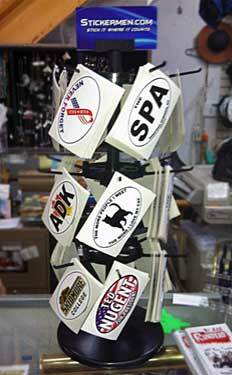 Wholesaling our stickers is a great opportunity to increase revenue for your business. Our 5 inch counter display stands 2 feet tall with 18 pegs. 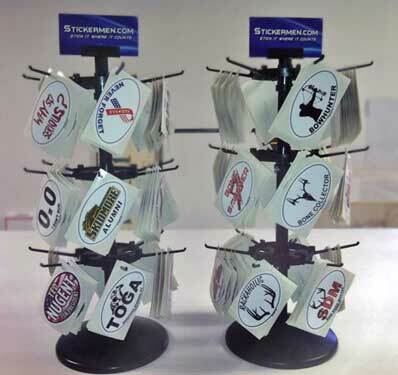 The initial purchase includes 180 stickers of your choice, all costing $1 or less, and the display rack.